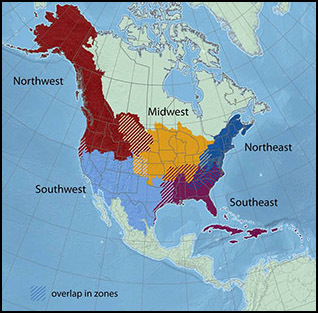 See below for information on each of the regional Habitat Management Guidelines. In addition, pre-orders are being accepted for the Southwest guide. Habitat Management Guidelines for Amphibians and Reptiles of the Southeastern United States are now available in PDF form for FREE download. Limited numbers of hard copies may be available at SE PARC regional meetings. Habitat Management Guidelines for Amphibians and Reptiles of the Northeastern United States are now available in PDF form for FREE download. Unfortunately NE PARC has run out of hard copies at this time. Habitat Management Guidelines for Amphibians and Reptiles of the Midwestern United States are now available in PDF form for FREE download. Hard copies are available at MW PARC regional meetings. 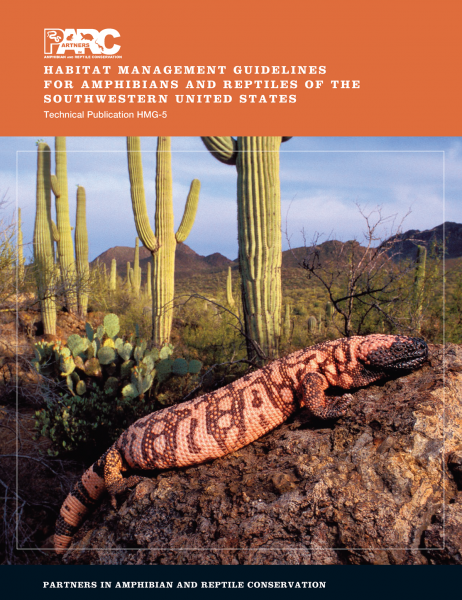 The Southwest Habitat Management Guidelines are now available for purchase via Amazon for $15/copy plus shipping. If you are an Amazon Prime member, shipping is free! Bulk discounts also are available when ordering by the box (1 box = 15 copies); for every 15 copies ordered, you will receive $25 off upon checkout. For general inquiries about PARC’s Habitat Management Guidelines, please contact Priya Nanjappa at pnanjappa@fishwildlife.org or Jen Williams at jen_williams@nps.gov.